A farmer and former selectman is refusing to allow town employees to cross his property to reach an old burial ground to perform basic landscaping. NORRIDGEWOCK — The town is asking a local farmer whose property surrounds a town-owned cemetery to allow public works crews to access the grounds through the farmer’s cornfield, which has overtaken a path once used by town employees to maintain the cemetery. 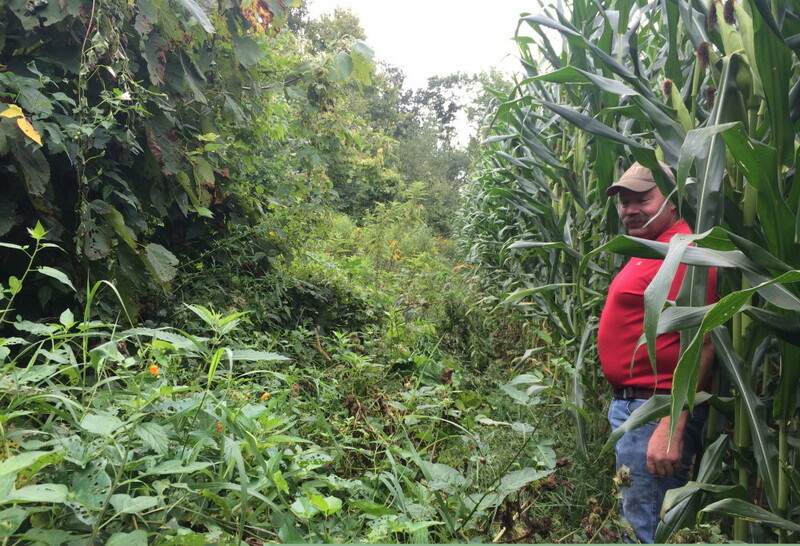 But Jim Hilton, the farmer and a former selectman in the town, says that years of damage to his crops by public works employees have caused him to stop allowing crews to drive out to the Oxbow Cemetery. Selectmen are scheduled to meet at 6 p.m. Wednesday to discuss access to the cemetery, which state law requires they maintain. 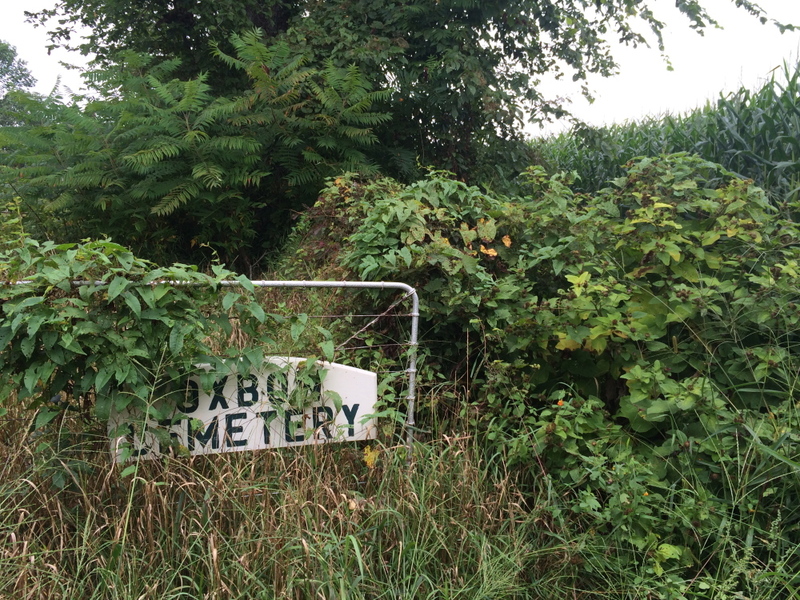 In the past, a dirt path on the edge of Hilton’s 520-acre cornfield allowed workers access to the cemetery, which is surrounded by the field except on one side where it is bordered by the Sandy River. But this year Hilton said he extended the crop far enough to the border of the field that workers could not pass through with heavy equipment or in vehicles. The path of beaten-down grass and brambles offers uneven footing. In some places, it is overrun with burdock and other brambles, forcing a detour through the rows of corn. 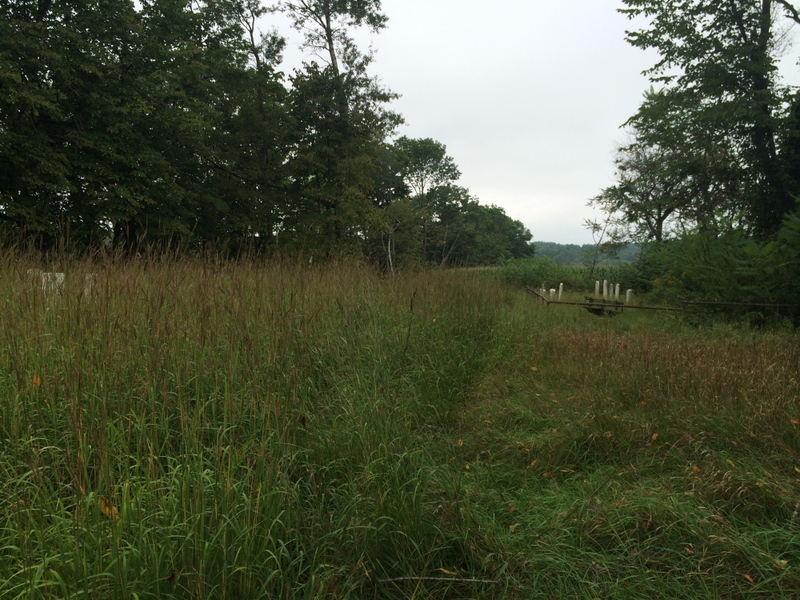 The cemetery itself — the site of a 2011 community effort to reset stones and repair damage — is overrun with grass. Town employees have not cut the grass there all year, while other cemeteries are maintained at least once a week, Town Manager Michelle Flewelling said. State law requires municipalities to maintain ancient burial grounds — cemeteries such as the Oxbow Cemetery that date to before 1880 — and stipulates that certain care be taken around the graves of veterans, of which there are five in the cemetery. She said the town is looking for a solution that will give the workers year-round access to the cemetery. Town public works crews have received a complaint about the cemetery’s condition, she said. Hilton has suggested that they buy an easement allowing access to the land.